See Our Specials In Our Weekly Flyer! 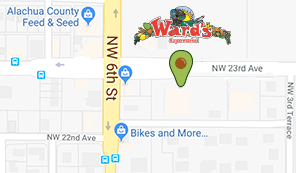 At Ward's we pride ourselves on sourcing from the Gainesville community and providing items you can't find anywhere else. We stock foods and goods that we believe in and want to use. Ward’s Supermarket is a family-owned, local grocery store that believes in supporting the Gainesville community. Many of our employees are family members and those who aren’t still feel like family. Shop with us to witness the local difference. Ward's sources from a variety of vendors to get the quality food you and your family deserve. By selling locally-grown food, we're cutting down the time your food spends going from farm to table, decreasing the need for preservatives and increasing the quality of your food. As a locally-owned store, Ward's is able to pick and choose our vendors with more flexibility than most. 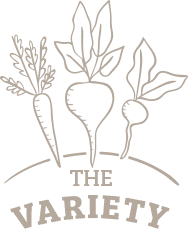 Because of that, we work with more than 400 vendors to ensure you have all the variety you could need, including plenty of vegan, organic, and gluten-free options. Ward's looks for local vendors who we can trust to provide our supermarket with the best products. 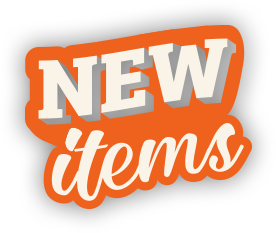 We're always open to new products and new vendors to make our store better for our customers. If you have something great to share, consider joining the Ward's community. Relying on local vendors means our offerings change season to season, and we think that’s a great, natural thing! 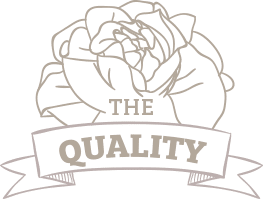 We pride ourselves on bringing you the freshest products we can bring while building the Gainesville community.